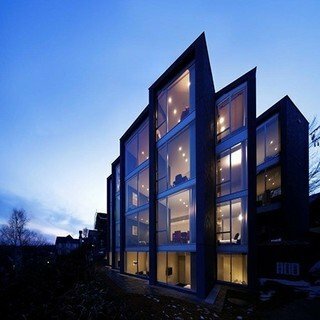 The 2 bedroom Penthouse Apartment is located on the 6th floor, offering superb views of the majestic Mt. Yotei. The apartment has a master bedroom with en suite bathroom, a second bedroom and bathroom, a living room with balcony, and a full kitchen. 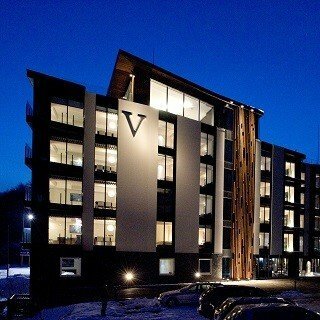 It has a private rooftop jacuzzi with views to the Grand Hirafu ski slopes. "The apartment was really nice, clean and close to the ski lift and lots of great restaurants." "The view of Mt Yotei was spectacular - very relaxing. Our son particularly loved the Jacuzzi on the balcony. Very central in Hirafu and easy to just duck out to the convenience store or for a bite to eat across the road." "Fabulous 1st family ski trip. Apartment location is near chairlift for Family base or bus stop for gondola base. 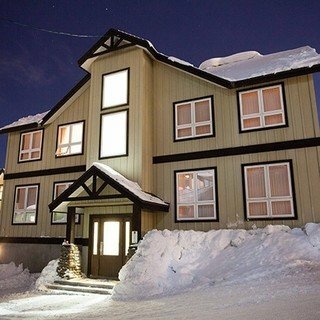 Gives you option to ski home which is great. Lots of nearby restaurants, supermarket nearby as is ski rental etc. Spacious boot room accessed from lift outside your apt. Staff available and nothing is too much trouble. Importantly for us lots of drying space for clothes over night and also helpful to have washer and dryer in apartment. Amazing view of Yotei tops it off. Everything you need, highly recommend." "There were many things we liked about our first trip to Niseko ... The snow, the food, the people ... But what made it a truly great experience was the location and services at our apartment in Snow Crystal. Its stones throw from the mountain and beautifully equipped for a family ... Awesome kitchen, great beds and comfortable living area. The undoubted highlight was the service we received from Jess. Nothing was a problem and she ensured our stay was a great one. On my sons birthday she organised a cake, candles and a little treasure hunt for him. What a great touch!"